We are one of the major and well established suppliers of textile dyes and auxiliary chemicals to yarn and fabric dyeing industries in South India with Erode as Head Quarters.In 1995, the company was started under the banner M/s Shivasakthi Marketing (P) Ltd., and having its sister concerns and branches at Tirupur. By sheer dedication and hard work, our Company made its presence significantly felt in textile industrial zones over the years and has unique place for itself as a trader in textile dyes and chemicals by offering cost effective products, guaranteeing absolute reliability, covering a wide range of textile processes as required by customers. 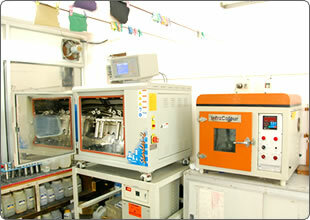 Our main task is to supply quality& innovative dyes and chemicals to customers in this sector who require, in time. 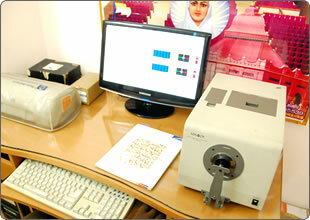 The trading business of Shivasakthi Marketing is augmented by its following sister concerns. With suppliers and customers as paramount partners in our business and with technical expertise within, our Mission is to operate our business on high ethical standards, updating our activity keeping pace with changes in the industry, ultimately achieving customer’s expectations. All efforts are targeted towards passing on total benefit to the customer, quality wise and cost wise. To be the world class leaders in textile dyes and chemicals trading business, to pass on the benefits of the Company’s activity to more customers, to increase our domain of customers and to forecast customers expectancy well in advance and to gear up our activity accordingly. Customer is our governing factor in our entire business. These inside pages present to you the harmonious integration of quality, economy, safety and ecology in the supply of Textile dyes and Chemicals from reputable suppliers. Our innovative and dynamic market force is at the door step of every customer to extend our technical support. Ethical business is our benchmark. Growth is our watch word. Ethical business practices backed up with rich experience and expertise in dealership. Technically sound leadership in textile dyeing field. A modern lab with computerized colour matching system as an able support to market force. 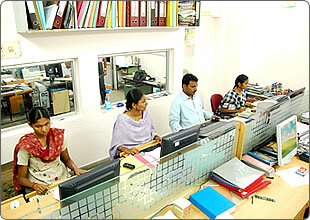 Computerized accounting system ensuring fault free and updated data. Dynamic market force at your doorstep at the first call. Healthy rapport with suppliers & customers with focus on customer satisfaction. Tamilnadu, India. Copyright © 2009 Shivasakthi Marketing Pvt. Ltd. All rights reserved.